*When in Lansing, you can access the Lansing receiver using an HT and a 100.0 or 107.2 Hz tone. 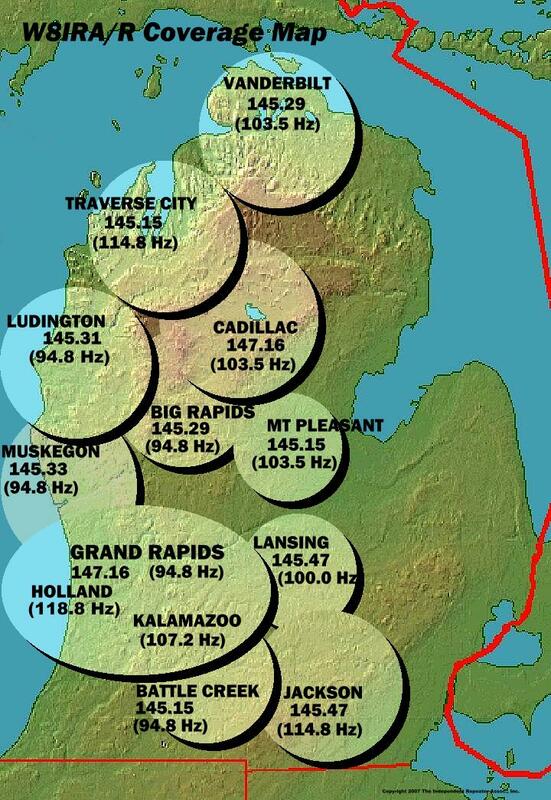 *When in the Holland area, you can access the 147.16 link using a 118.8 Hz tone. 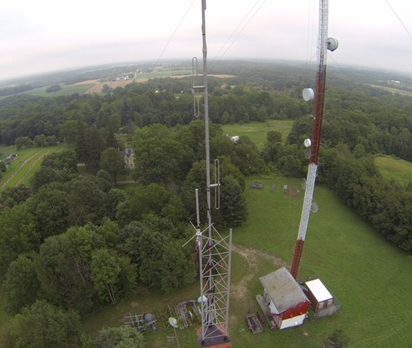 The Independent Repeater Association maintains a network of 2-meter repeaters covering western Michigan from the Indiana border to the upper peninsula. Everyone is welcome to use and enjoy the linked-repeater system. Please consider supporting the IRA with your TAX DEDUCTIBLE PayPal donation via the link above. The IRA can also be selected as a designated charity at smile.amazon.com where a percentage of any purchases is donated to the IRA by Amazon. Support the W8IRA Linked Repeater System whenever you order through Amazon by going to smile.amazon.com. Just select the Independent Repeater System as your charity and a percentage of every purchase will be donated to the system by Amazon at no additional cost to you.